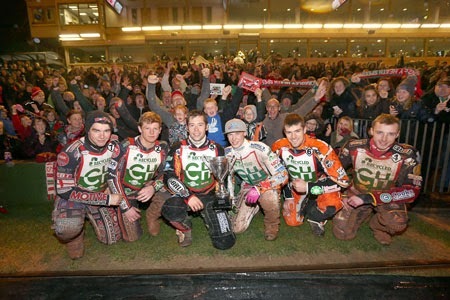 Cradley - Max Clegg 11, Paul Starke 9, Tom Perry 6+3, Nathan Greaves 6, Matt Williamson 4, Danny Phillips 3+1, Steve Worrall R/R. 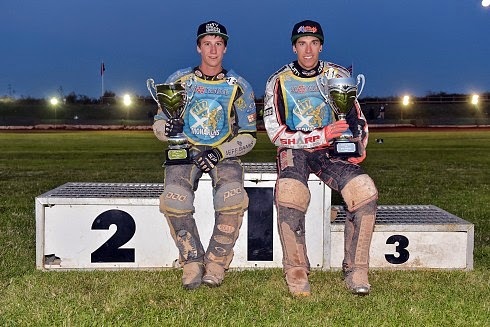 King's Lynn - Ben Morley 8, James Cockle 5, Josh Bailey 4, Marc Owen 3, Tom Stokes 2, Layne Cupitt 0, Darren Mallett R/R. King's Lynn - James Cockle 14, Simon Lambert 11+1, Scott Campos 8+1, Tom Stokes 7+1, Marc Owen 2+1, Josh Bailey 1+1, Darren Mallett R/R. Cradley - Max Clegg 13+2, Nathan Greaves 11, Tom Perry 7, Dan Halsey 6+1, Paul Starke 4, Danny Phillips 3+1, Matt Williamson 3.